Painting With is the 11th full length Animal Collective album. For fifteen years they have been rewriting the musical map, their line-up and aesthetic shifting with each astonishing release as they continue their pursuit of a new psychedelia. The result: Painting With. 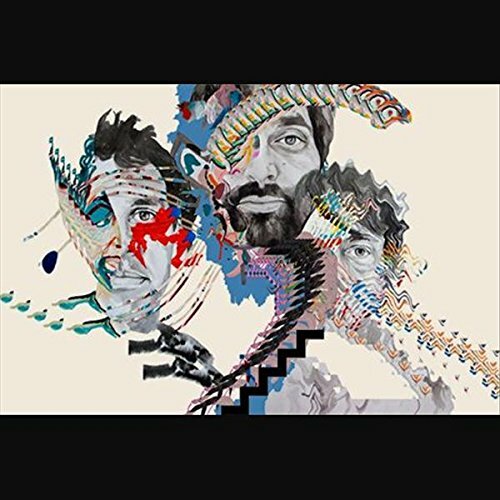 Warm and personal, dizzying and high definition, concerned with art and the human experience, and the meeting of both - creating something elemental, joyous, and unmistakably Animal Collective. There are three different album covers, one for each member in the band - Avey Tare, Geologist, and Panda Bear. The album covers are randomized and only upon receiving your order, will you know which cover you were assigned. Each copy will include a sticker sheet with the album title printed in a variety of languages, so you can sticker the album with the language(s) you prefer.